BE-BOP-A-BACA. 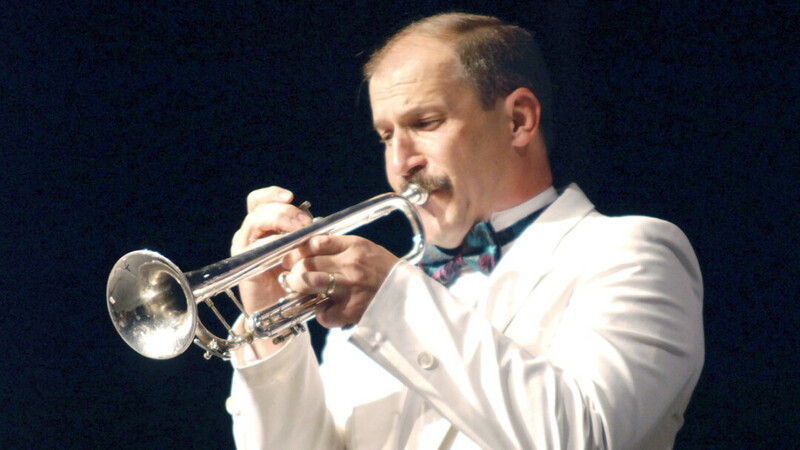 Bob Baca, UWEC jazz studies director, is one of the subjects of the Sounds of Eau Claire series. My coffee hadn’t yet hit my bloodstream. I wasn’t fully prepared for such a fountain of energy at 8 on a Monday morning, but Dr. Daniel Ott’s enthusiasm was more of a boost than even Starbucks provides. Ott clearly has a passion for what he does. In his second year as visiting assistant professor of history at UW-Eau Claire he knew he wanted to get his students involved in oral history. Oral history is of utmost importance to the preservation of the memories and people who are and were a part of our community. However, exploring Eau Claire’s music history wasn’t Ott’s initial plan. The idea to focus a project on Eau Claire’s music scene actually came from UW-Eau Claire’s archivist, Greg Kocken. Sounds of Eau Claire involves oral history interviews converted into podcasts that have aired on Blugold Radio (99.9 FM) and are also available online. (Interview subjects have included UWEC jazz studies director Bob Baca, bluesman Howard “Guitar” Luedtke, and studio owner Evan Middlesworth.) The project is a collaboration that came together through the work of several groups and organizations, including the students and faculty of UWEC’s history department, Blugold Radio, McIntyre Library, the Chippewa Valley Museum, and narrators from the community. I had the privilege of connecting with some of the key players in this project. Scott Morfitt, director of Blugold Radio, which is located on campus and broadcasts throughout the region, says this project is important to him because, “It teaches us that the passion of today was built over years of hard work. This is not something that just happened one day and people said, ‘Good gracious, we have a music scene!’ It’s an interflowing river of passion and inspiration. The Sounds of Eau Claire project will continue this fall, and – ideally – for several more years. Ott is also working on grants to create a digital exhibit to be showcased through the Chippewa Valley Museum. Similar to the Sounds of Eau Claire podcasts, the museum’s exhibit will bring together influential members of our music culture. There will be a “Sounds of Eau Claire History Harvest” to collect stories and objects which will be digitized and put online for the exhibit. Humanities experts will also take part as they talk about music history in our region. The history will delve into influences outside of indie rock. It will explore how the Hmong music tradition, Indian jazz, and squeezebox (to name a few) have also made an impact on our music scene. To hear the podcasts created through the Sounds of Eau Claire project, visit blugoldradio.org/sounds-of-eau-claire-podcast.